Remember that time we heard the story about Iceland that was passed down through the ever-trustworthy medium of American oral tradition? The story of the Vikings naming Iceland “Greenland” and Greenland “Iceland” so that they could confuse their enemies? Well…I have two theories about this story. A. American oral tradition has failed us. B. The Vikings arrived to Iceland during the dog days of summer. Iceland is aptly named in the winter. While the temperatures are similar to Nashville in the winter (between 25-30 degrees), the 30 mph winds made me feel like I was traipsing through the North Pole half-naked. But, the winter wonderland scenery made it all worth it! Iceland surprised me in a lot of ways. They seem proud of their Lutheran heritage. While there, I got to do some pretty awesome things. I got snowed on at the beach. I rode an Icelandic horse through snowy mountain passages. I saw the iciest waterfall ever. I went SWIMMING in the Blue Lagoon during a sleet storm. I saw the Northern Lights! ​I also ate some pretty crazy things too- like Puffin and Whale (don’t worry, I didn’t have Horse!) I would say Puffin and Whale are both pretty slimy…so…probably won’t have those again. But, the best thing I had was an Icelandic hot dog with potato salad on top! (Ok, I’m not 100% sure what kind of meat the hot dog was made out of…I hope it wasn’t horse. All in all, the trip was a once in a lifetime experience. I never thought I would ever go to Iceland, but I did! But now, I’m ready to be warm. Bahamas…here I come! Nobody tells you when you are starting out how many hats you have to wear. (and I say “starting out” because after 2 decades of performing, they still tell you you’re starting out.) I’ve learned that being an indie artist isn’t just about singing…it’s about wearing all the hats of the music business-and hopefully still being in style by the end. The Producer: Now, the word producer has many connotations and it’s different in the music industry than in other industries, but for our purposes today, I’m using this word in the more musical theatre/TV-film sense- the Producer being the funder of the project. You want to record the song you just wrote…but if you want a good recording, it’s gonna cost you! So, you have to round up the money by saving or finding investors. The Studio Singer: After you write the song and have money to record the song, you have to sing the song! But you can’t just “sing” it like you’re singing in the shower. You have to sing it with a “style” that makes you sound like no one else. You have to sing with imperfection so people think you’re feeling something. You have to re-live the words you wrote and make sure the emotion is heard or no one will believe you lived it. People have literally told me I have to sound less perfect and less pretty. My Bachelor of Music degree cried a little. The Audio Engineer: After you sing the song, you have to listen back to different mixes of the recording. Yes, I have an audio engineer recording it for me, but at the end of the day, when you are an indie artist, you have to listen back to the mixes and discern if any changes need to be made. I’ve had to learn what phrases like, “We need more 2k range” mean and learn to read wave forms- I didn’t know I would become a scientist! The Website Designer: After you have the song recording, you have to have a website to promote it. I’ve had to learn how to design my website, update it for changes in my tour schedule, and even use html code when necessary! The Stylist: Once you have a website, you have to have photos to put on the website. To have photos, you have to have a photoshoot, and to have a photoshoot, you have to have clothes to wear. You can’t just have any clothes though. You have to have clothes that represent you as an artist and build your brand for the album. And I’m not gonna lie- shopping is harder than you think! The Publicist: Once you have the website and the photos and the music, you have to get all this material into the right hands. A huge part of my job once I have the finished product is to send everything to as many blogs and radio stations as possible. I’ve even had to learn what the heck a press release is and how to write one! The more people that hear the work, the better! The Social Media Team: After I’ve emailed everyone and their mother about the new music, I have to post on social media so that my friends, family, and music base also know about it! This can be the most annoying part, because selling myself on social media isn’t my idea of fun, but people won’t respect your music if they think no one listens to you, and the only way they see that people are responding to your music is through your numbers on social media! Oh yeah, and when you get all fancy at social media and have all these tracking and metric apps, you also know which of your “friends” unfollowed you…so…. The Booking Agent: Once you have the songs, the social media, the website- you gotta play some live shows! In order to play live shows, you have to find a venue that will have you! As my own booking agent, I contact festivals and venues all over the southeast to book my tours and try to team up with other artists that have traction in their area. The Promoter: Once you book the show- you gotta get people to come to the show! So- you gotta promote the show! How do you promote the show? Promote through radio stations, ads, targeted social media, posters…etc! The Performer: Once you get people to the show, you gotta perform at the show. But performing isn’t just about “singing in front of people” – it’s about moving people with each song and selling your product to the crowd so that they will want to hear the music on their drive home and come see you live again- and hopefully share it with their friends. As a young girl, I dreamed about being “The Performer.” But, I didn’t realize all the other hats I would have to wear before I was able to wear that one. I’ve learned it’s a long vertical climb of hard work. You might get some hat hair along the way, but I think it makes getting to “The Performer” all the more worth it in the end. As my EP enters its final stage of production (mastering), I can’t help but wonder what the outcome of years of bringing this EP to life will be. This EP represents the full circle of coming to Nashville at 12 years old and singing karaoke on Broadway, dreaming I’d be back one day. It’s the culmination of learning what the heck songwriting is, and years of songwriting with different writers, and the challenge and satisfaction of writing by myself. It signifies the decades and immeasurable amount of money my parents spent helping me master the craft of singing. It symbolizes the countless hours of learning the different instruments I wrote each song with and the innumerable miles driven to play each song live with my band. Once production wraps up, I will be sitting in the offices of record labels, management, song pluggers, lawyers, and professional friends and colleagues who will listen to it and then tell me the verdict of their thoughts. When I released my single, “This House Is Haunted,” I received great remarks from people in the industry. A CEO of a songwriting publishing company told me that this song would surely be picked up by a big artist. The head of a major artist management company raved about my vocal performance. My idol told me she watched my music video and loved it. A record label told me they loved it and couldn’t wait to hear more of my music! And while I feel proud with the headway I made with that song, none of those remarks changed my life. I was still the same girl hustling for myself. I was proud that people liked it so much, but at the end of the day, nothing happened as a result of the “right people” liking it. So, as I gear up for another round, hopefully hearing how good it is (I may not be that lucky! ), I have to brace myself for the chance that: nothing may happen. Although that may be the case, I have to remember that I’m proud of what I made. These songs are the best versions of themselves. These songs came from real places and emotions in my life, and whether or not people like them does not diminish the years that were put into making this the quality of music I’ve sought to achieve. And more than anything, I’ll know I reached my goal if these songs resonate with the people who listen to them. I hope you relate to my blissful happiness, my deep sorrow, my aching hurt, my boiling anger, and my desire for strength. If the string sections well up and make you want to do something bold, or my sad songs make you want to cry, or that driving guitar rhythm makes you drive a little faster- then I’ll know I did my job and my music was made for something, not nothing. As some of you may know, I’ve been recording my EP this past November and December. I’ve always wanted to record an entire project and I’ve been biding my time in Nashville until I felt that I was ready with the right vision, style, and songs. March of this year, I approached my friend Tommy Harden about producing my EP. Tommy has been Reba’s road drummer for at least a decade. He’s also played as a session drummer on tons of hit records and has a super cool duo with his wife called Lost Hollow. When I heard Lost Hollow’s album, I knew I wanted Tommy to produce my record because their sound is perfectly on the edge of country- just how I like it! Check out Lost Hollow at losthollowband.com. Tommy and I got together this summer and wrote a few songs to see if we could beat anything I already had. I chose one of our songs as the title track of my EP! Once I picked the other final songs, I sent work tapes over to Tommy. A work tape is the roughest version of a song–usually recorded right after you wrote it on the voice memo app of your phone! Tommy listened to them and then tracked a “mock up.” A mock up is a reference track for me to listen to and make sure I like the direction of the song before we record everything for real. And of course, Tommy is a genius and brought every song to its greatest potential, so I liked everything! Tommy tracked some drums, bass, guitar, keys, and background vocals for the songs (I told you this guy is a genius) and I came in and tracked vocals for each song. If you are a singer, you probably think that tracking vocals sounds fun, but let me tell you, after 2 hours of singing the same song, you start to question if this is really what you want to do with your life! This is clearly me at the beginning of the vocal session- I’m still happy! Then, after the vocals were all done, we brought in my husband, Billy, to do some drumming and percussion, then we topped it off with bringing in a guitar session player to play all the delicious guitar solos! Now, after a month and a half, all the tracking is done! I’m currently waiting on the mixes to be finished–the hardest part is waiting to hear the finished product!! I’m beyond thrilled with what Tommy has done with the songs and cannot wait for you all to hear them!! It’s Christmas time!!!!!!!!!! WOOOOOOO!!!!! You know what that means…PRESENTS!!! 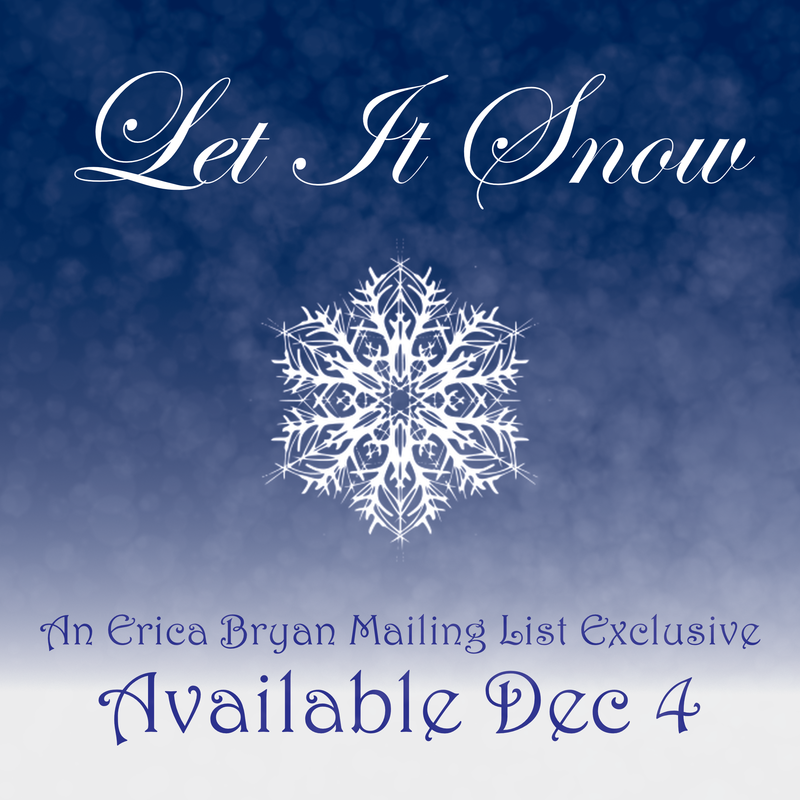 And in light of the season, I’m gifting you a free Christmas song! Ho Ho Ho Merry Christmas! Not a member of my mailing list? Click here to join. I promise it’s a party you won’t wanna miss! Well, my one friend had a “How To” blog…but she stopped blogging, so I guess that means I can use that title? Mine won’t be as funny- but maybe it will inspire a Christmas shindig at your home! I love the Holidays because I feel like it’s a good time to reflect on what’s really important in life. Thanksgiving and Christmas is a time where you take some time off work (oops- sorry retail workers) and spend time with the people who matter most to you: your family. It’s also a time to look around at everything you’ve been blessed with and what you’re thankful for, and hopefully reflect on the needs of others around you. Oh, and you also eat a lot of fattening things. So, here are some things I did for my Christmas Shindig. 1. Make lots of cookies. Eat most of the dough…and then bake the leftovers. 2. Pick a Christmas charity to shop for! My friends and I chose to support Next Door, a drug rehabilitation center for girls. We made Christmas bags for their Christmas party! If you can’t think of a charity in your area, try donating to Operation Christmas Child. 4. Come back and assemble your gift. 6. Make some Christmas memories!! We wrote this song for a guy to sing to his wife when she comes home from a long day at work. I personally like writing songs for a guy to sing because I’m a girl, and I know what I would like to be sung to me! The three of us put our heads down and wrote this song and I love how it turned out! Troy, our soul man songwriter, sang the demo of this. Well, this past weekend we wrapped up our Fall Tour. It got me reminiscing about all the shows we’ve played this past year, and how we found ourselves doing a lot of things we never thought we would!For example, I played at a local pageant! There wasn’t much room in the auditorium, so we ended up waiting backstage when we weren’t playing. Billy felt really weird being surrounded by only young girls, and tried to stay as close to me as possible. Billy and I were originally scheduled to play transition music between the age groups, but at one point in the pageant, the judges needed to see the girls again. So, they had Billy and I come out and play songs while the girl’s waved and walked across the stage. I’m not sure they thought they would make their last entrance to Taylor Swift’s “Shake It Off,” but that’s what we played! Another day, we played at something called “Mule Day Jam.” I was told there would be hundreds of mules everywhere. To be honest, I wasn’t even sure what a mule was–and I’m actually still not sure, because there were no mules at this show. Apparently Mule Day was about 20 minutes down the road and, instead, we played at a car dealership. So…we never saw any mules, but that doesn’t mean we didn’t have fun! Now I’m gonna be real with you–some of the best experiences we’ve had playing this year is playing in our own basement and streaming it online. It’s weird, because I still get nervous jitters when we go “live” while streaming, but there’s no one physically watching the show. But, the responses from everyone watching online is always so great and I love being able to reach out to listeners across the globe! We’ve played for crowds of hundreds…and we’ve played for crowds of just my parents. But either way, every year is full of experiences that I never would have dreamed of. Now that my shows are done, I’m busy recording my EP (that may become a full album…because…well…I have too many songs for an EP). I can’t wait to go on tour next year to promote the new record, and will eagerly await our new experiences to come! Thanks to everyone who came out to the shows and/or watched the shows online. As always, I couldn’t do it without you! Well, hello my blog friends. Last time I brought you a sports blog, so I feel it is only appropriate to cover the other end of the spectrum: fashion. As I’ve gotten older (I know, I need to stop saying that!) I mean…(clears throat) as I turned 21 yesterday, I realized that I am no longer interested in fashion that cuts off my circulation and heels that I can only wear for 20 minutes at a time. At the ripe age of 21, I now go shopping for comfort. But, just because I want to feel comfortable, doesn’t mean I can’t be fashionable. Also, I’m a musician, so let’s be real, I’m not rolling in the money. So, I put my outfits together with bargains! Now that it’s fall- my favorite time of year- I’ve been doing a lot of outdoor activities. Last weekend, I saw my idol Grace Potter perform…it was ah-mazing! The concert was at an outdoor venue so I wanted to look cute, yet comfortable, because I knew I would be standing for a while in the cold. It’s not unusual for my friends to ask me for fashion advice, so I’d thought I’d utilize my concert outfit to share some fall fashion tips with you, so you can spice up your outdoor ensembles! Tip 1. Leave the North Face jacket at home. If you’re not camping, camping gear is not fashionable. (I know, everyone lied to you in middle school.) Instead, try layering a hoodie with a jean or leather jacket. Tip 2. Always have a good pair of dark wash jeans. Whether you’re out to dinner or at a bonfire, dark wash jeans look nice for any occasion. Tip 3: Denim on denim is still in this year. What could be more comfortable than jeans on both ends of your body?! If you’re at a loss of what to wear, denim on denim is a safe bet, but try two different shades of denim. Tip 4. Pop of Color. A pop of color gives your outfit personality. My rule with color is that you should have ONE flashy statement. In this case, I chose to go neutrals with a lime green beanie. I got this beanie on clearance for $3 at J. Crew! Tip 5. Wedges! Wedges are a comfort-fashion girl’s best friend. And if you’re short like me, wedges help extend the leg (making you look slimmer!) without making you fall over. I wanted even more comfort, so I chose a wedge sneaker for this occasion. Well…I hope you learned a tip or two….now go splurge on some shoes! What in the world?! Football deserves a sermon mention..and a character article?! Well….apparently it does in Alabama. So, I decided since we’re in the midst of football season, this is the perfect time to share how I would make sports better…because honestly, there could some improvements. 1. All sport teams need to represent the community in which the players come from. None of this Green Bay Packer that lives in Mississippi crap. If you were raised there, you play there! And if you aren’t from there- get outta town son and join your own home team! 2. Olympic teams should also represent where they come from. For example, one year the Chinese volleyball team trained in California with American coaches….doesn’t that defeat the whole purpose of representing your country? 3. Football needs to just keep running the clock no matter what. We need to get rid of this “stop every 2 seconds” stuff and learn how to tell time…and stop wasting my time! Or I’ll compromise, and let you keep your terrible sense of time if you take out one quarter! 4. Baseball should be 2 innings shorter. Seriously- if you need a seven inning stretch- shouldn’t that tell you something? Let’s end the game there so we don’t have to stretch just to make it to the end of the game! 5. Basketball should be harder. Obviously basketball is too easy if a team is scoring hundreds of points in a game! Let’s make the nets higher, or farther apart, so then maybe points will become more meaningful when they are won. 6. Soccer should become easier. Sometimes soccer games end at 0-0. Are you kidding me? I watched this whole game for nothing? Why don’t we make the nets bigger? Smaller field? That’s all I can think of for now. Someone go make these things happen, and then maybe your girlfriend will actually watch sports with you.